Boris Johnson racist rhetoric is nothing new and is always present when he campaigns on Brexit. Rania Ramli explains why the People's Vote is also fighting Islamophobia. 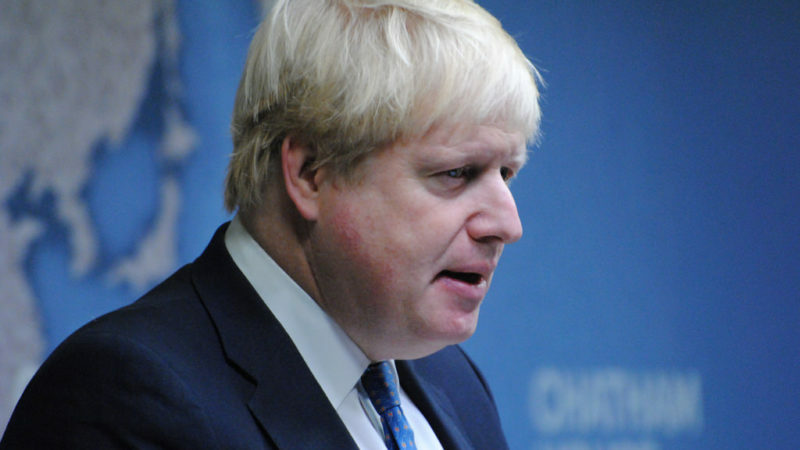 There is a common misconception about Boris Johnson. That because of his circular way of speaking, using 30 words when five will do – a hangover from his old Etonian days – he doesn’t really think about what he says. He may spread hate and perpetuate division but he didn’t mean it. He was only joking, honest. But that’s just not true. Not only did he mean them, Boris Johnson’s comments have always been part of his calculated and cynical plan to get into Number 10. Going back to his day as a reporter on the European Union in the 90s, through to his controversial editorship of the Spectator, we arrive in 2016 and his hateful rhetoric during the EU referendum campaign. Up until that point, nothing stuck to Boris. He was rubber, accountability was glue and he was able to get away with saying things that no one else could. We’ve seen the same this week. Last week Boris Johnson wrote an article in the Telegraph about Muslim women wearing the niqab. Why he thought he needed to share his views on what women should and shouldn’t wear is something known only to Boris. But in his characteristically incendiary fashion, he made comparisons with ‘letterboxes’ and ‘bank robbers’. Our former foreign secretary and someone at the top of the party in government fuelled the gendered Islamophobia that is becoming all too common. He perpetuated stereotypes that would be normal from Trump and his far-right friends. That this rhetoric is unacceptable is beyond question. When the far-right see their narratives being parroted from up high, they are emboldened. Words matter and politicians define what is and isn’t ok in public discourse. In his pursuit of a Conservative premiership, Boris has happily and heartily thrown Muslim women under a bus. But words don’t only matter, they have consequences and the consequence of Boris’ words is an increase in hate crime directed at Muslim women. With headscarves being ripped off on our streets, things will only get worse. The same is true of Boris’ comments in 2016. The way in which he and others framed the referendum debate made it about our values as a country, not the institutions of the European Union. I am the daughter of Muslim immigrants. My parents came to this country being unable to speak English but determined to build a better life for themselves and their children. I got involved in politics because I want all young people who grow up in a council house like me to have the same opportunities I did. I joined the Labour Party because I felt angry at the cuts in services available to ethnic minority women who had suffered abuse and domestic violence. All of these things are intrinsic to my politics. Compassion, openness and solidarity are the values that drove me to campaign for Remain in 2016, even though I was still too young to vote. So let’s be clear. I’m exactly what Boris Johnson, Jacob Rees-Mogg and Nigel Farage have in mind when they talk about ‘taking back control’. Control over a woman’s right to wear what she wants. Control over migrants’ ability to build a life in a new country. Control over the direction of our society and the values we hold dear. We can’t see Boris’ comments in isolation – they’re a continuation of an argument he started in 2016. This is why everyone on the left everywhere should understand the forces we’re fighting against when we’re fighting for a People’s Vote. Standing up to Boris Johnson’s hateful rhetoric and convincing the country of our open, compassionate and liberal values is the only way to put a stop to the path he and others are taking us down. That’s why I’m part of For our Future’s Sake, a youth and student-led organisation campaigning for a People’s Vote on the final Brexit deal. Not because it’s clear that for young and working-class people the best Brexit deal is being a member of the European Union, but because this is more than a fight for an institution – it’s a fight for our values as a country. Are we diverse, tolerant, open and kind? Or do we succumb to the forces of nativism, protectionism and fear? I know which side I’m on and it’s not the side that uses Muslim women as political capital.